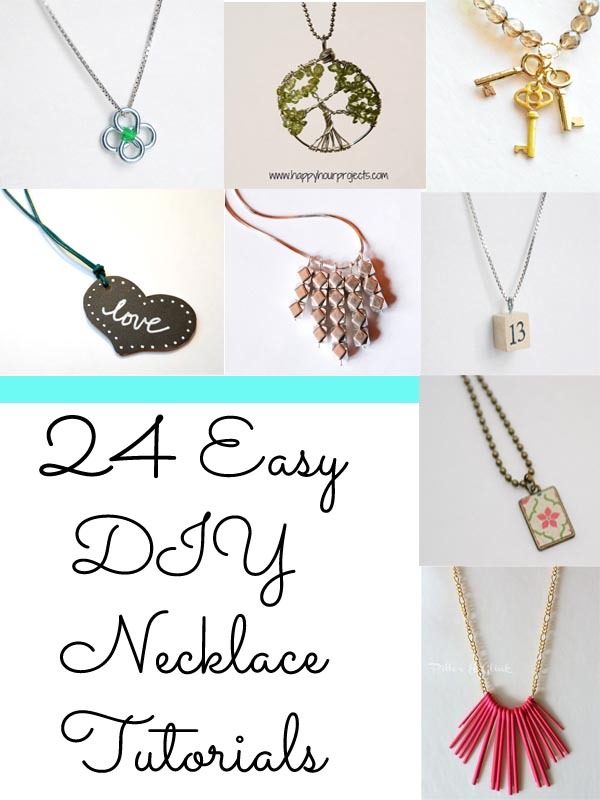 With the popularity of the 20 Easy DIY Earring post, I thought an Easy DIY Necklace post is in order. 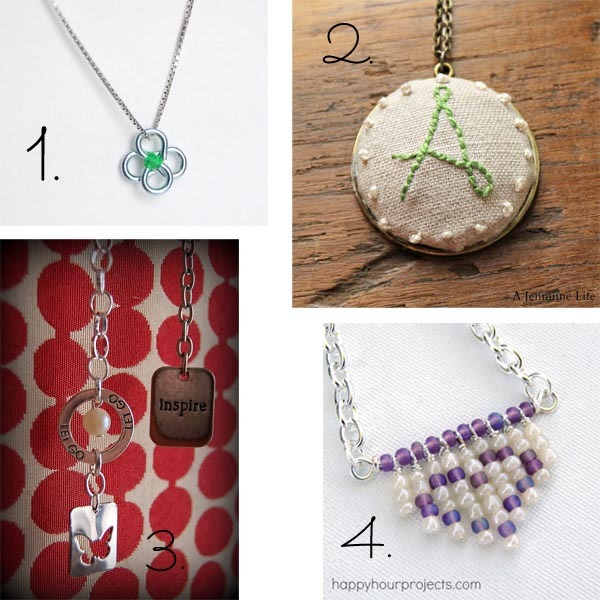 I’m just dabbling in jewelry making, but it is fun and the projects make awesome gifts. 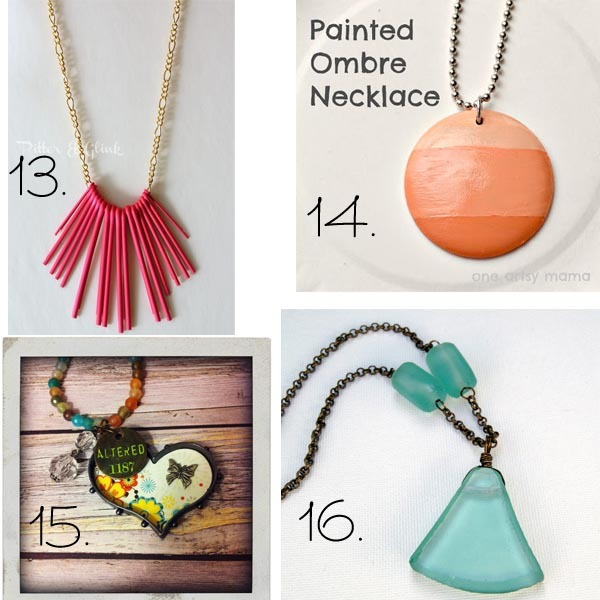 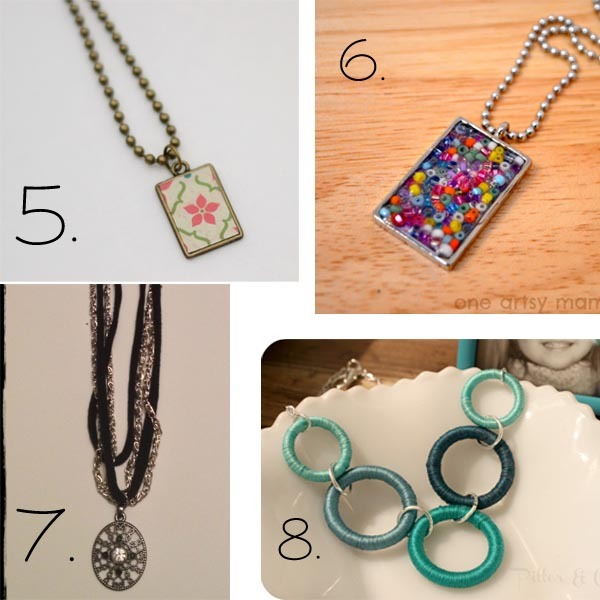 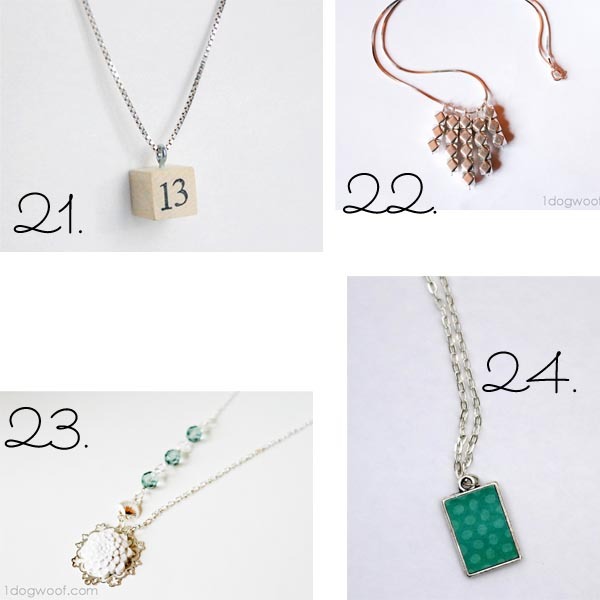 So here are 24 Easy DIY Necklace Ideas for your (and my) inspiration! 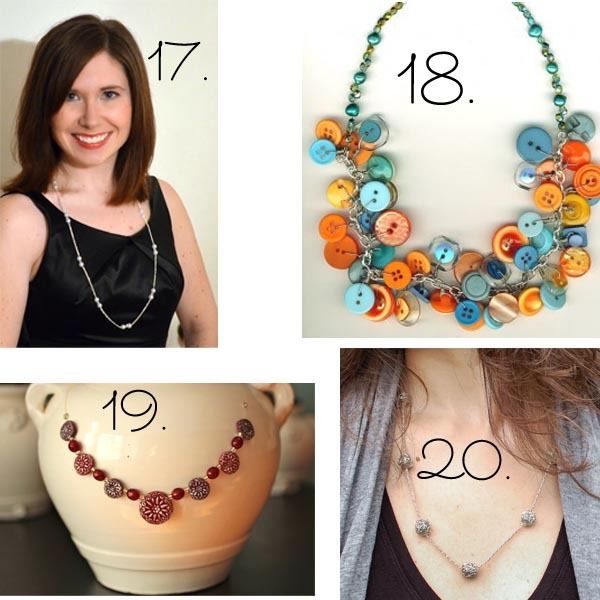 Great round up, Melanie! 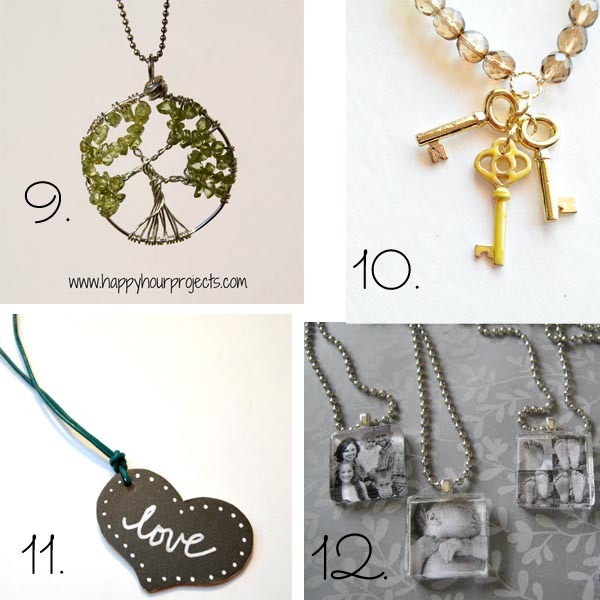 I love your reversible pendant necklace!